Radio producer and presenter Stani Goma joins us on the Pan African Space Station, LIVE from MUMA in Melbourne from 11-13 April. 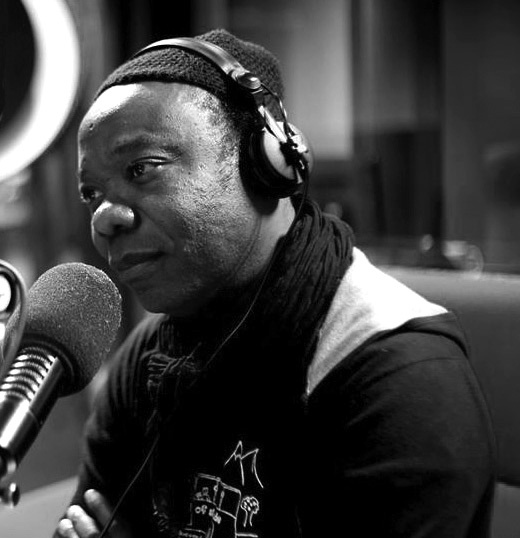 Stani Goma grew up in Brazzaville and has been involved in community radio since arriving in Australia in 1990. He is the presenter and producer of Flight 1067 to Africa on PBS which features music and news from all over Africa. Over the years Stani has interviewed many African musicians such as Hugh Masekela, Youssou N’dour, Angélique Kidjo, Baaba Maal, Papa Wemba and was the MC for the Miriam Makeba concert at Sidney Myer Music Bowl in 2006.